Goodwin has written biographies of each President, and she worked in Lyndon B. Johnson’s Administration as a student fellow and later helped him organize his presidential library and archives which are extensive. I highly recommend this book for its relevance to present turbulent times. How can we recognize a great leader? What do they share in common? How do their leadership qualities emerge over a lifetime, and how do they use their particular talents to lead the largest democracy on Earth? Goodwin is a great storyteller. The intimate portraits she paints for us are gritty, truthful, and surprising. In the last section on Visionary Leadership Goodwin becomes a classroom professor subheading points she wants to make clear such as 1) Make a dramatic start; 2) Lead with your strengths; 3) Simplify the agenda — and so on. One critic felt this was too elementary. But I like to think that Goodwin, out of her concern for the state of leadership in Washington was giving us a primer on how to identify a true leader. And for younger men and women who are coming up in the political ranks in their counties and states, she may also be showing them how the greats managed to bring our country together in times of very dangerous challenges such as the Civil War, the Depression, WWII, Civil Rights and Vietnam. Call it a primer on Leadership. 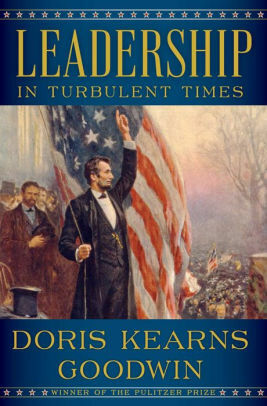 Here is an interview with Doris Kearns Goodwin about the book.